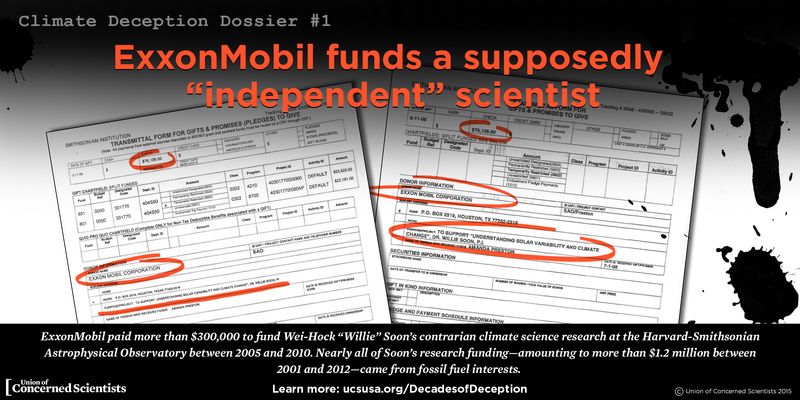 UPDATE (July 9, 2015): As this report went to press, a newly discovered email from a former Exxon employee revealed that the company was already factoring climate change into decisions about new fossil fuel extraction as early as 1981. Learn more. 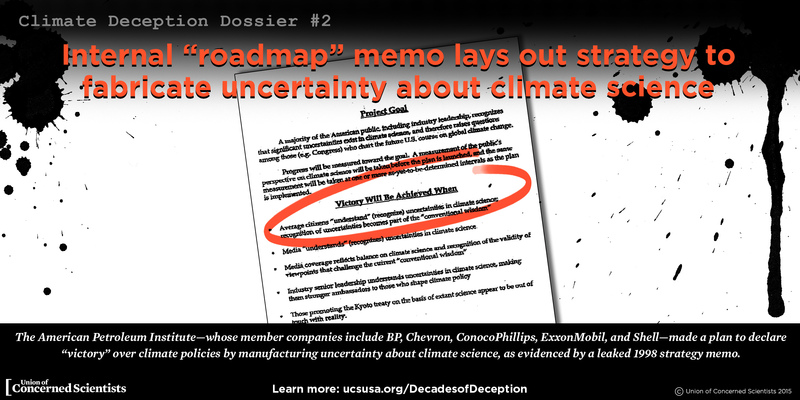 Fossil fuel companies have intentionally spread climate disinformation for decades. 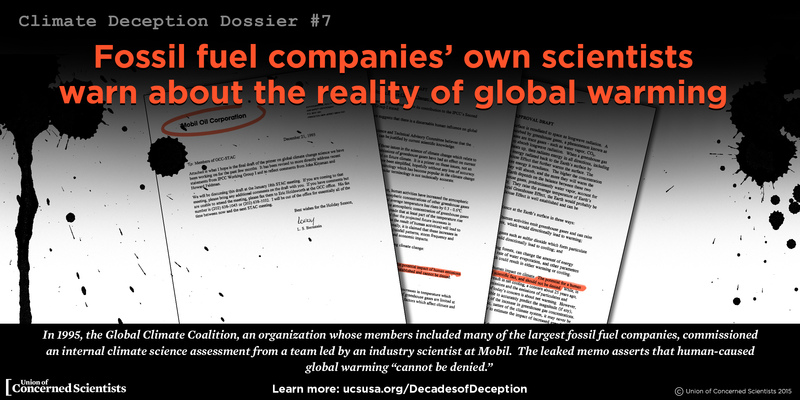 Fossil fuel company leaders knew that their products were harmful to people and the planet but still chose to actively deceive the public and deny this harm. The campaign of deception continues today. 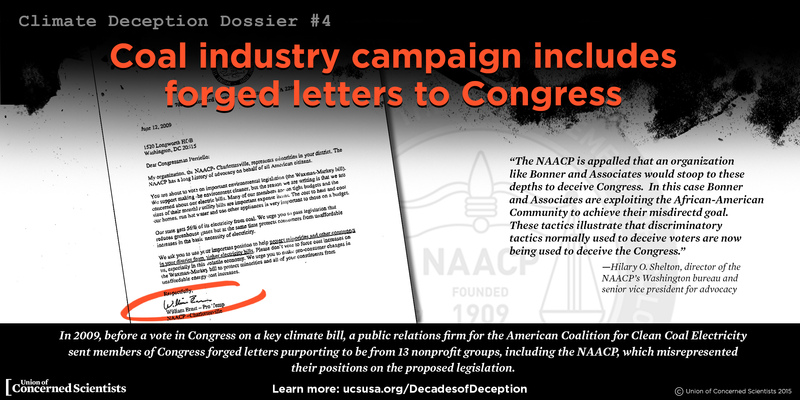 Download the full report for in-depth information on each of the seven dossiers. The complete collection of documents is available in the sources and resources section below. The fundamentals of global warming have been well established for generations. 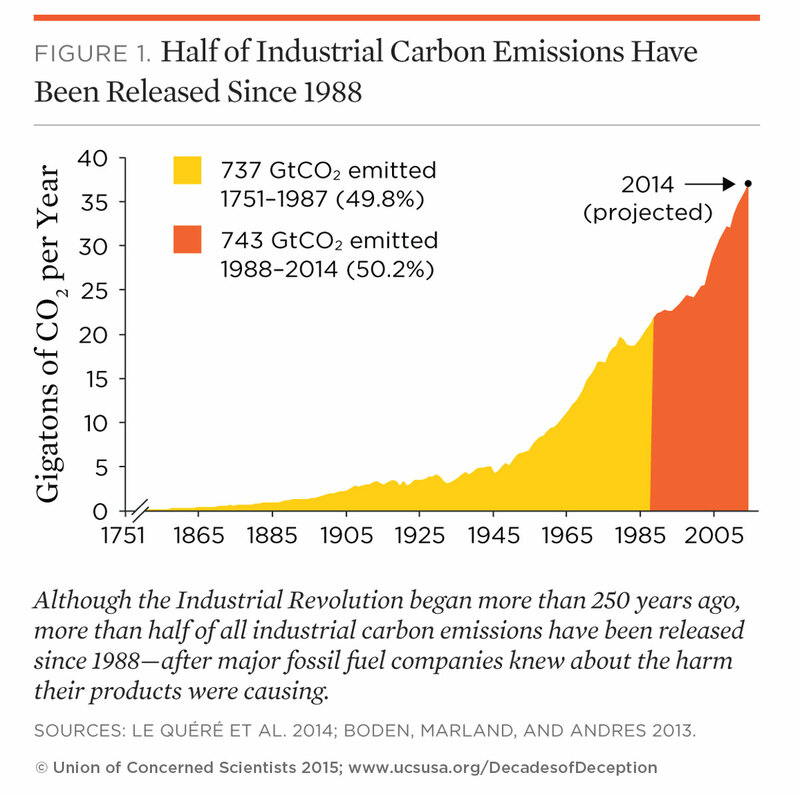 Fossil fuel companies have almost certainly been aware of the underlying climate science for decades. 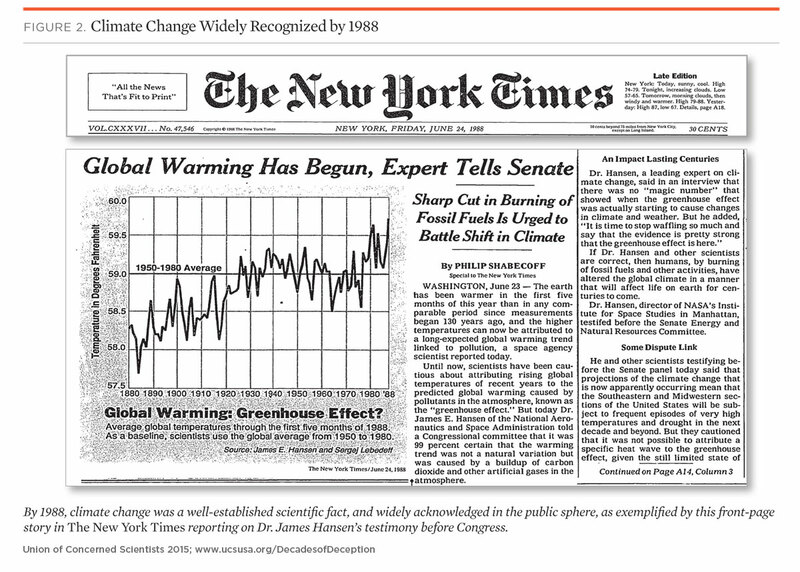 By 1988, climate change was a well-established scientific fact and widely acknowledged in the public sphere, as exemplified by this front page story in the New York Times. Enlarge image. 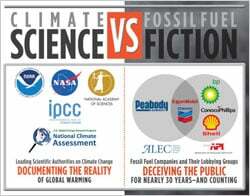 As early as 1977, representatives from major fossil fuel companies attended dozens of congressional hearings in which the contribution of carbon emissions to the greenhouse effect was discussed. By 1981 at least one company (Exxon) was already considering the climate implications of a large fossil fuel extraction project. 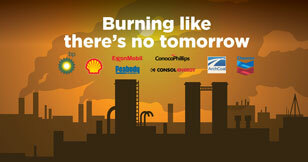 How did fossil fuel companies respond? 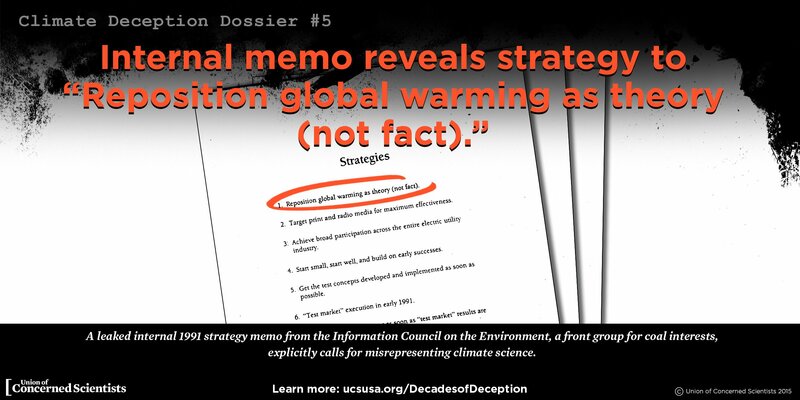 They embarked on a series of campaigns to deliberately deceive the public about the reality of climate change and block any actions that might curb carbon emissions. 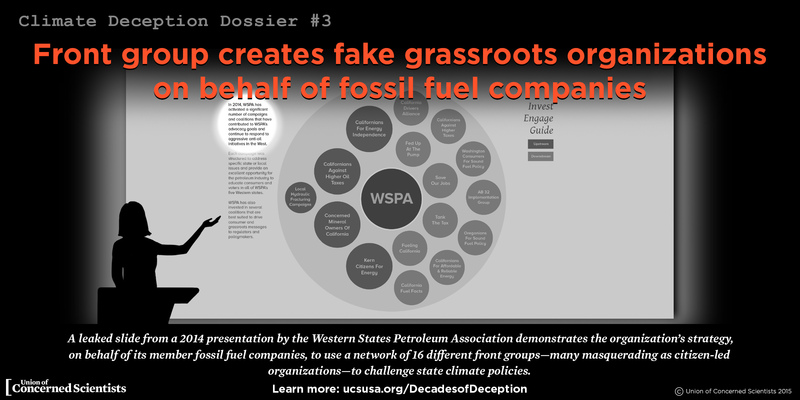 As the picture of fossil fuel companies' efforts to deceive the public comes into clear view, the time is ripe to hold these companies accountable for their actions and responsible for the harm they have caused. 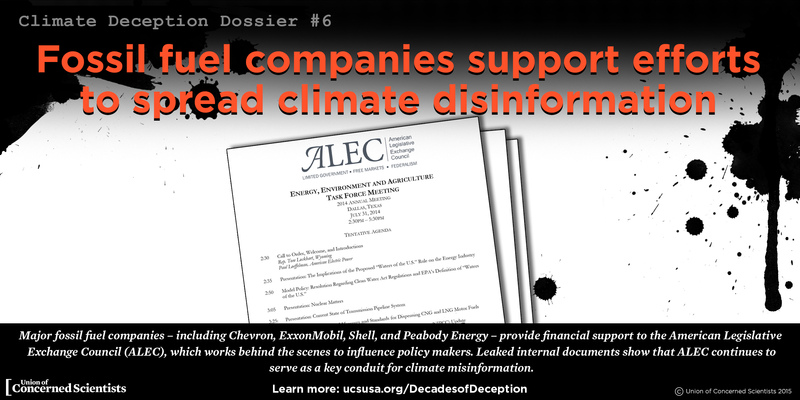 TAKE ACTION: Join the call to stop climate deception by telling one or more of these companies that the decades of deception must stop. Rights and permission: You are free to use and post these graphics without alterations online, in written materials, and in presentations. Any online use must include proper citation and a link to this web page.